Manhattan, NY MBI Group has completed work on a landmark restoration project at 670 Broadway, on the corner of Broadway and Bond St. Originally designed by architect George Harney, the five-story, 75,000 s/f red-brick loft building was created in the Victorian Gothic style whose unique hallmarks include varying color, texture and gothic details. 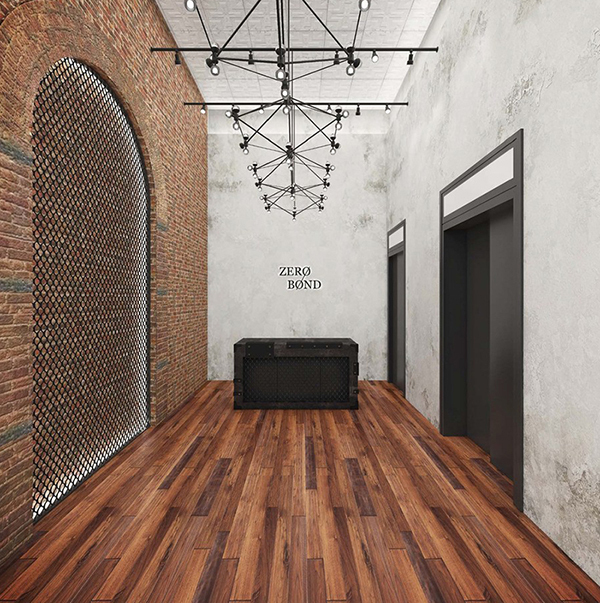 MBI Group worked with Paramount Group and TPG Architecture to bring the dilapidated building to its prior grandeur to attract new tenants and be a part of the ongoing revitalization of New York’s vibrant NoHo neighborhood. The scope of the project included demolition of seven existing storefronts, which were replaced by millwork doors and glass to replicate the building’s original image; extensive replacement of existing cast iron, which was completed by taking molds of historical pieces and meticulously installing each item to match the existing columns and decorative items; demolition of the fourth and fifth floors to create white-box spaces for future tenants; relocation of the building’s lobby from Broadway to Bond Street with the new address Zero Bond Street; and the build-out of a new elevator lobby with security desk.